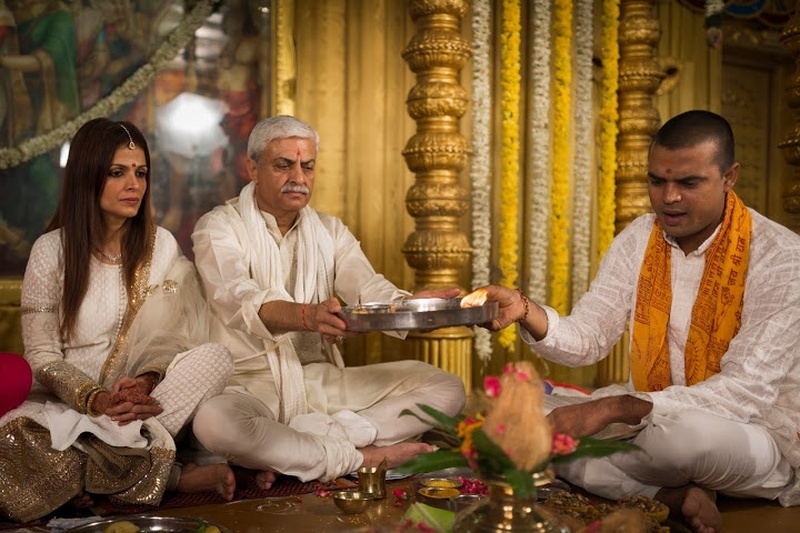 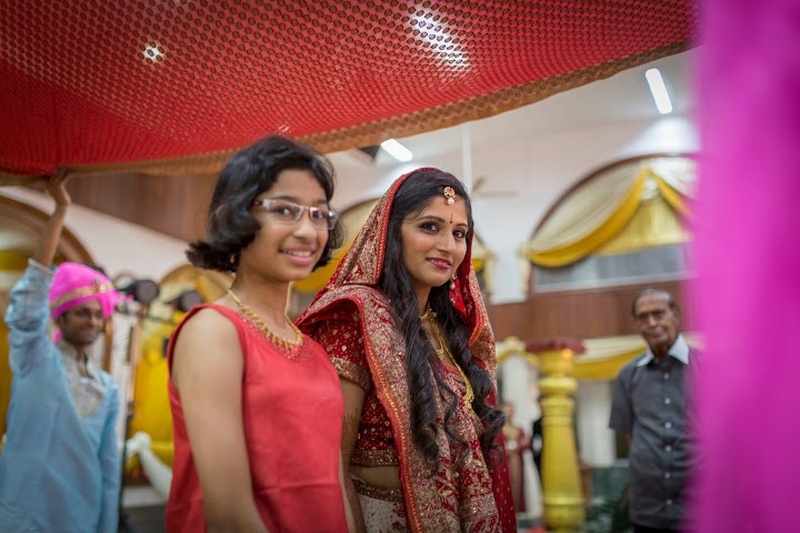 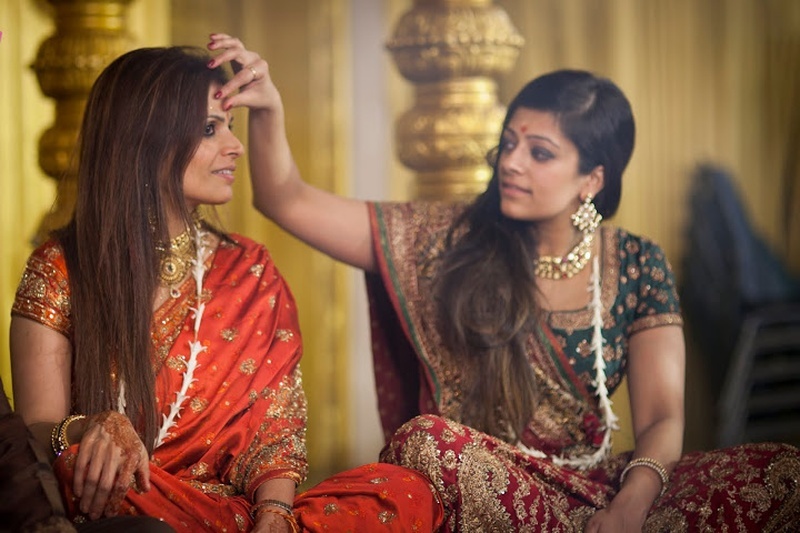 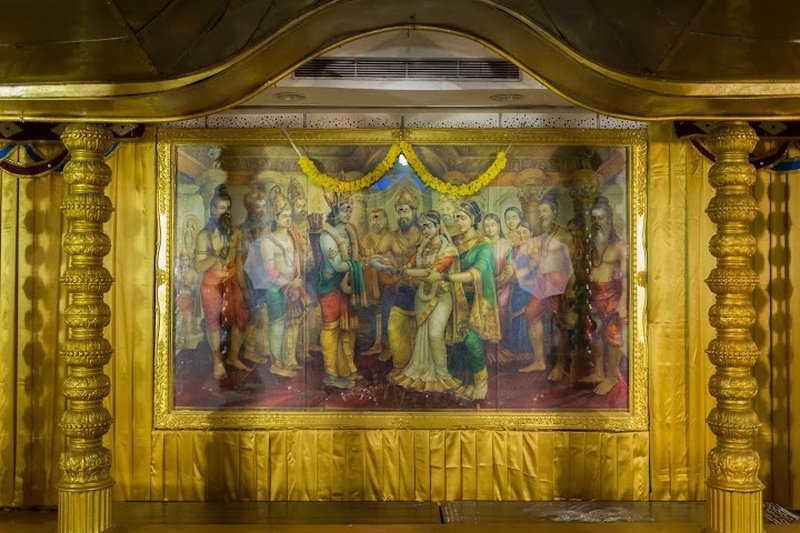 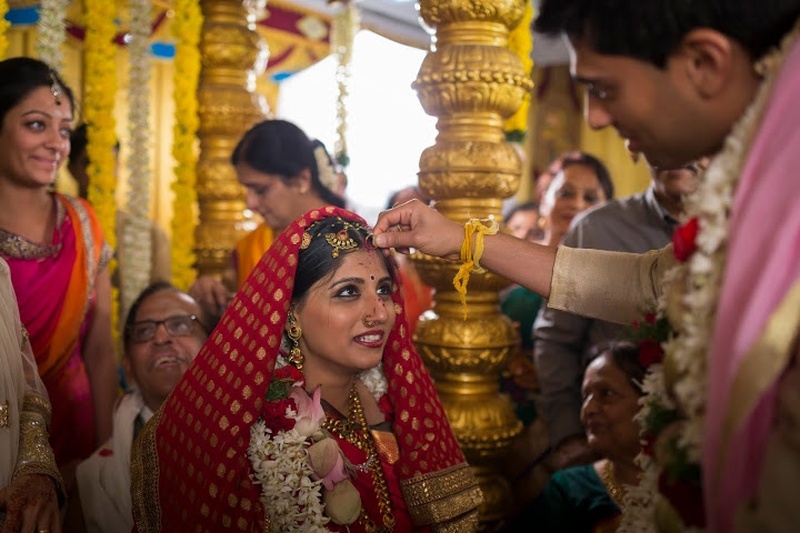 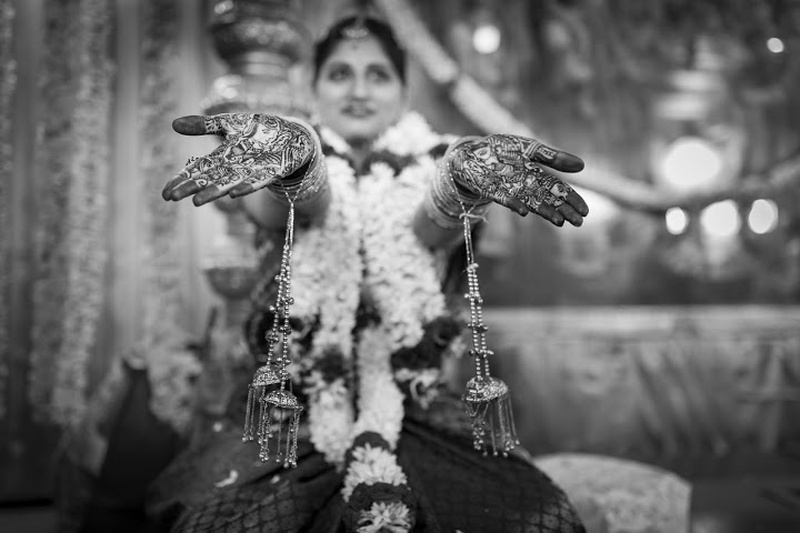 An all-gold decorated vedi mandap played host to the cross-cultural union of Indu and Sharan. 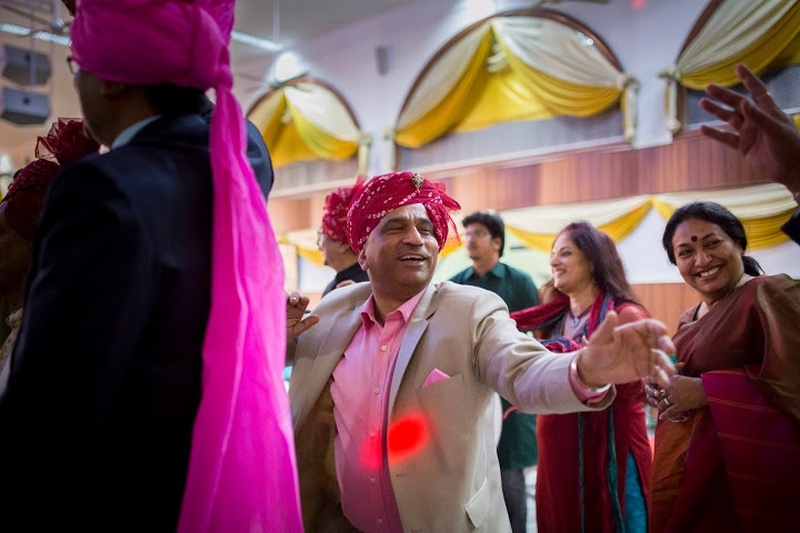 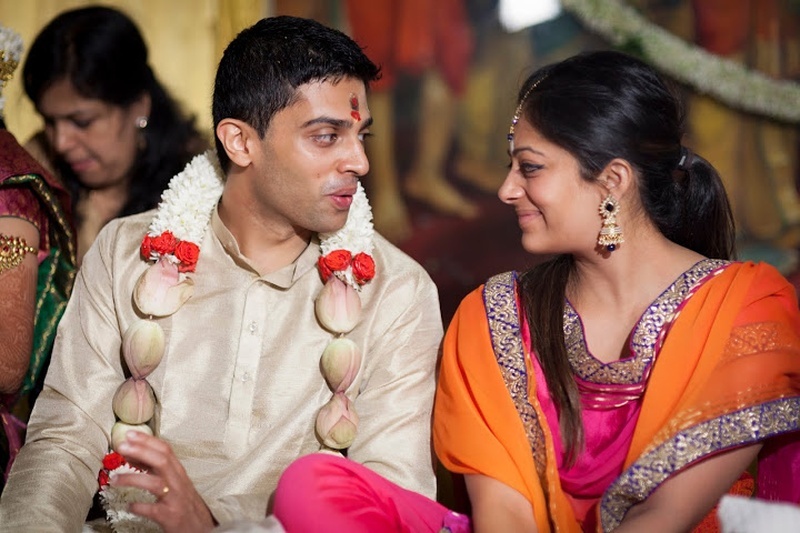 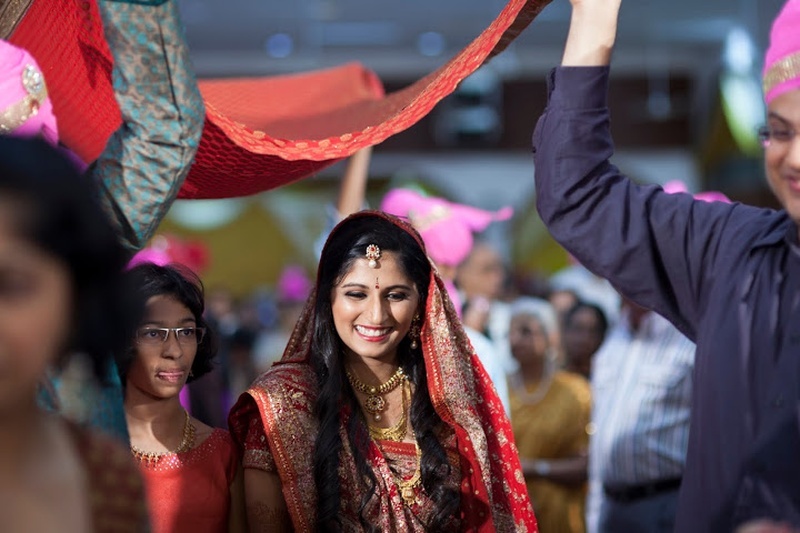 This couple decided to not leave out either of their cultures and got married in both the Gujrati and South Indian style. 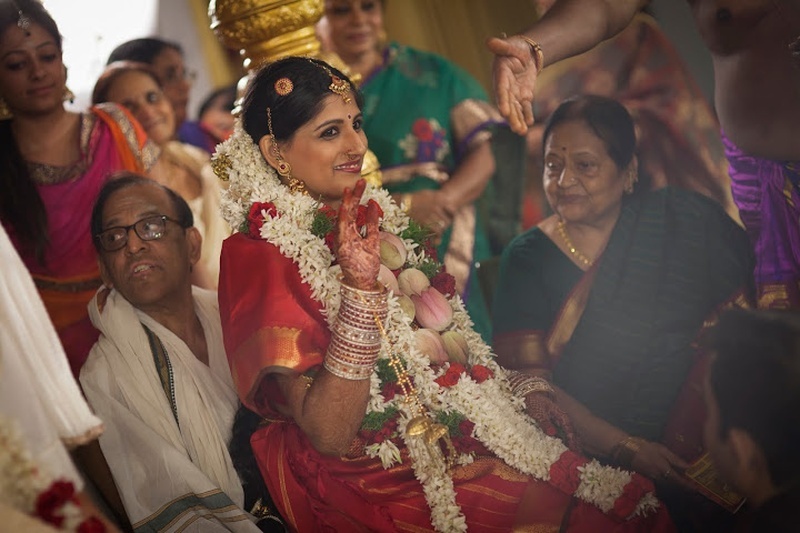 Dressed in a red kanjivaram saree, Indu sat on her father’s lap for the kanyadaan ceremony, which was followed with the exchange of garlands. 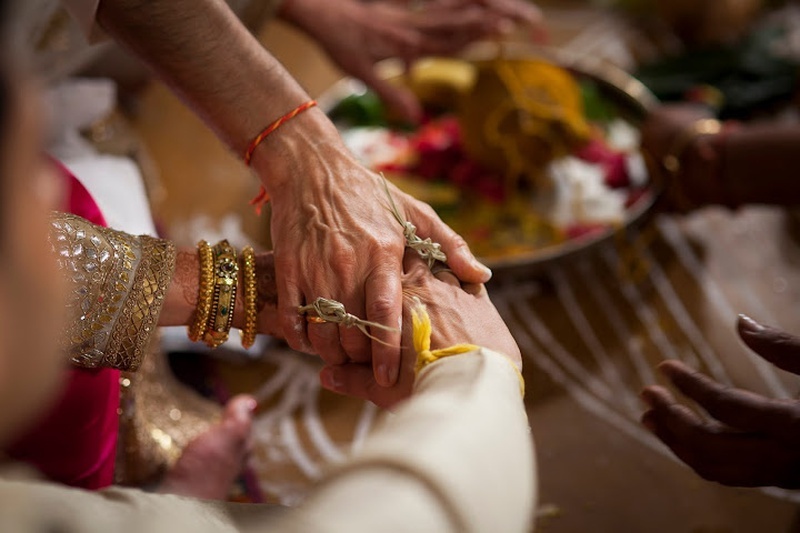 After this, the bride and bridegroom were made to sit on an Oonjal or Swing, and the elders of both the families swung the couple back and forth. 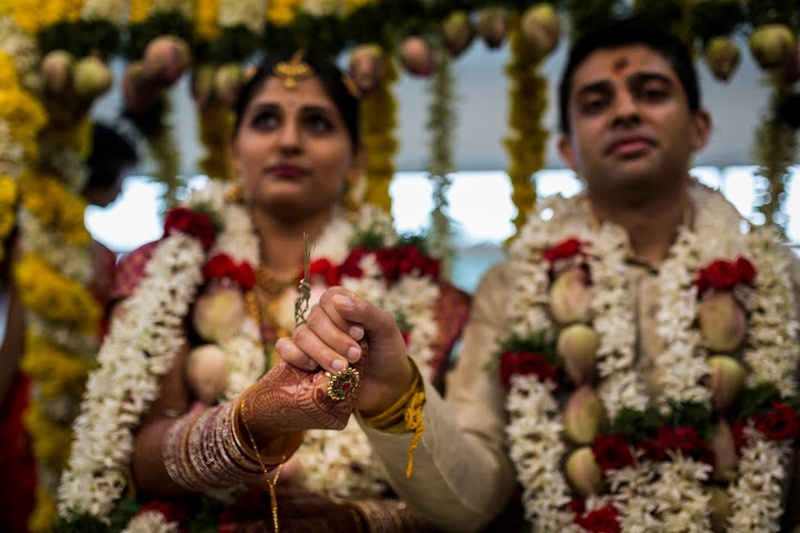 The swing's oscillating motion is a message to the couple that they must stay strong together during the challenges as well as the joys of life. 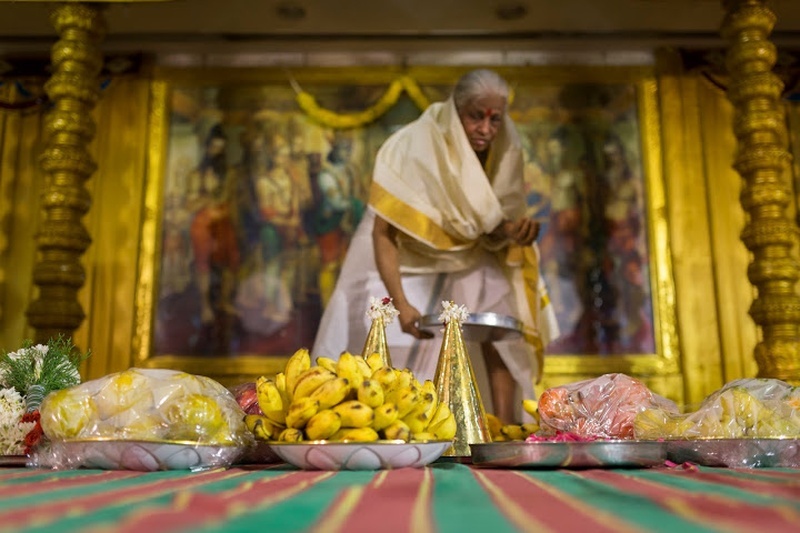 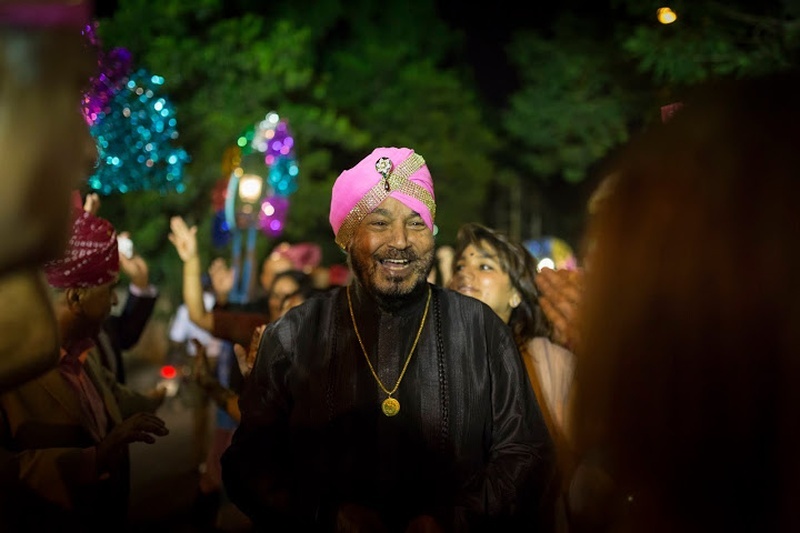 Their loved ones and friends sang auspicious songs and the families of the couple then threw coloured rice balls in four directions to ward off evil spirits. 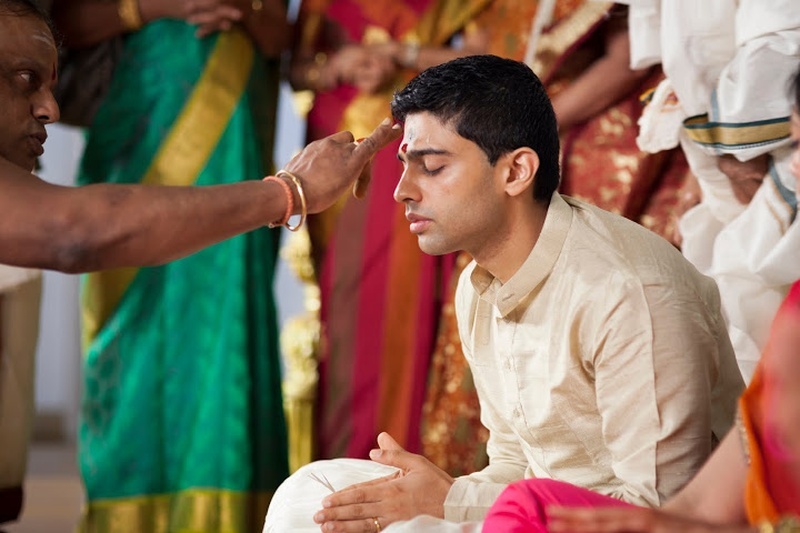 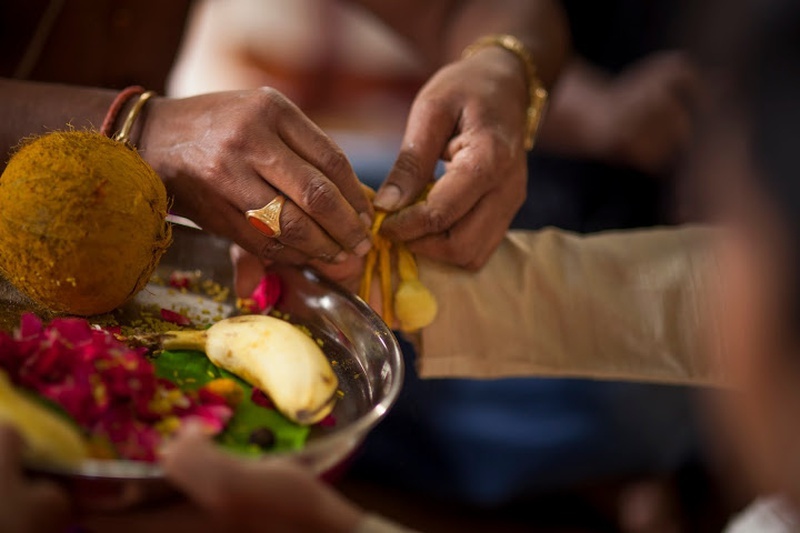 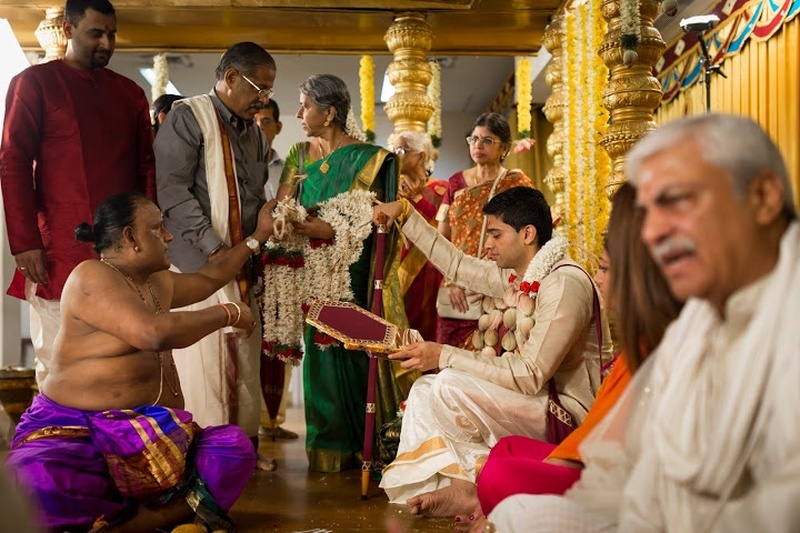 After things were made official through the South Indian style, it was now time to plunge into the Gujrati rituals! 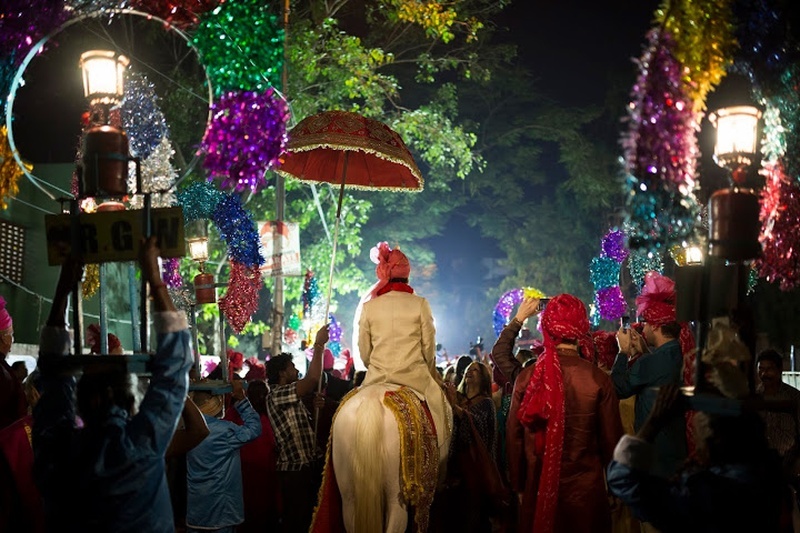 Dressed in a textured cream sherwani, the groom rode on a white horse with loud band baja and lively baaratis. 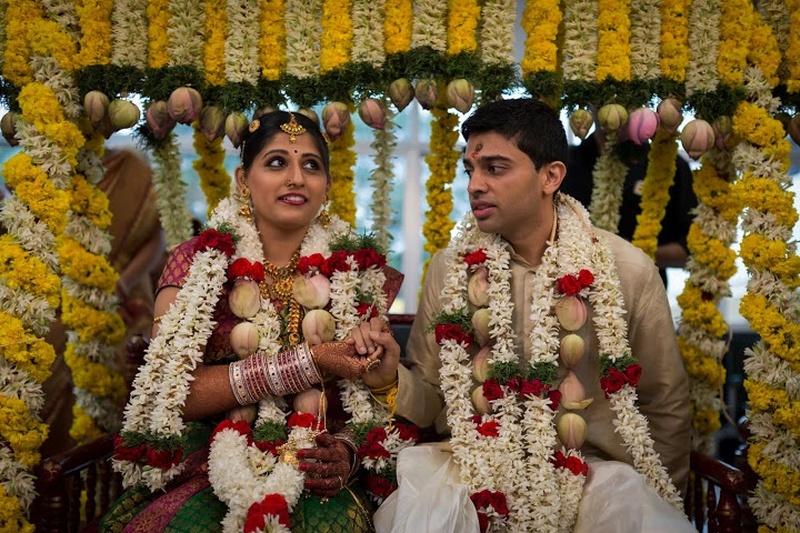 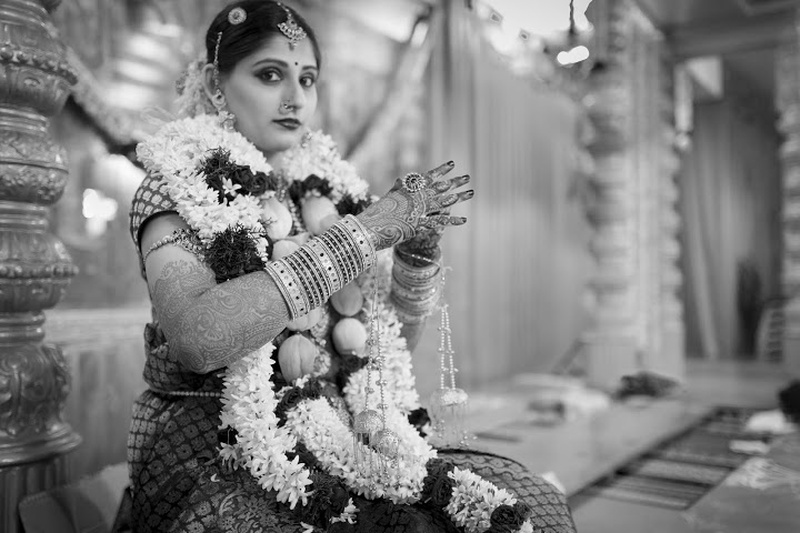 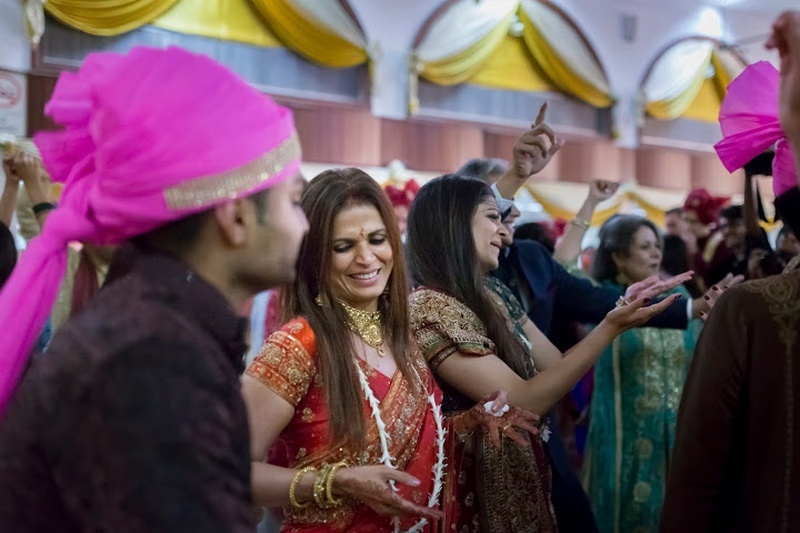 A brightly-lit banquet hall hosted the Saat Pheras of this beautiful couple. 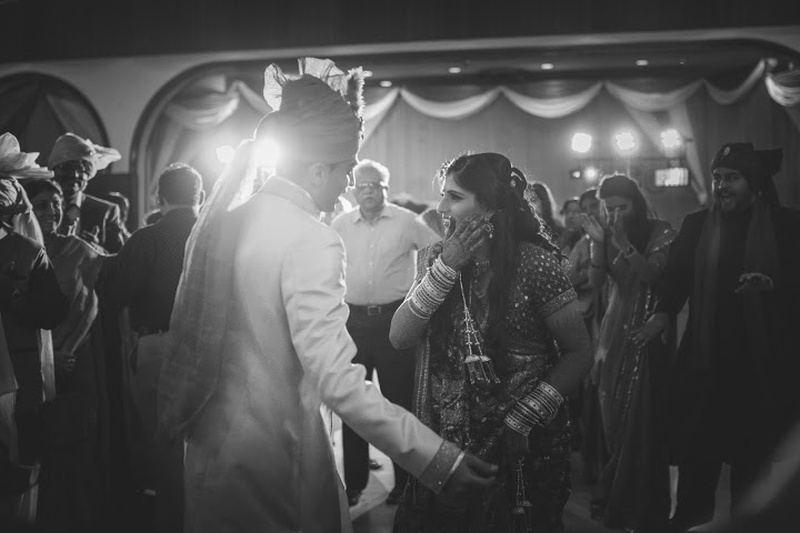 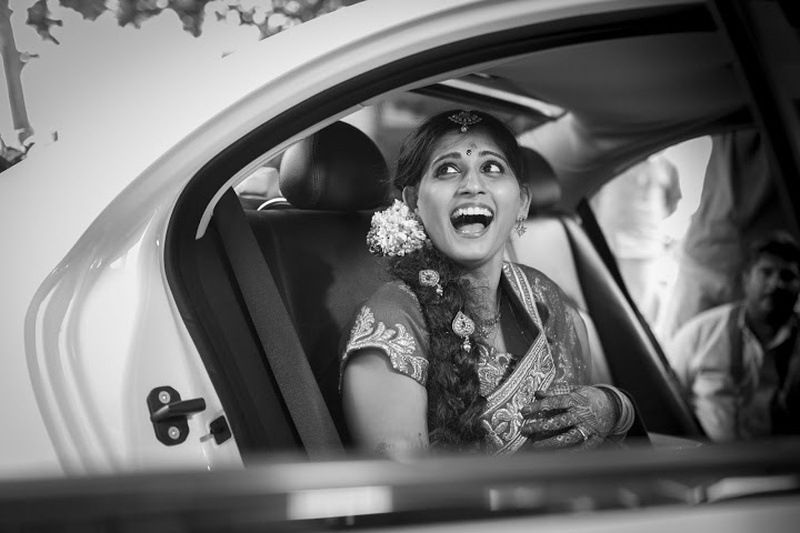 Indu and Sharan’s cross-cultural union proves yet again that love knows no boundaries, barriers or language. 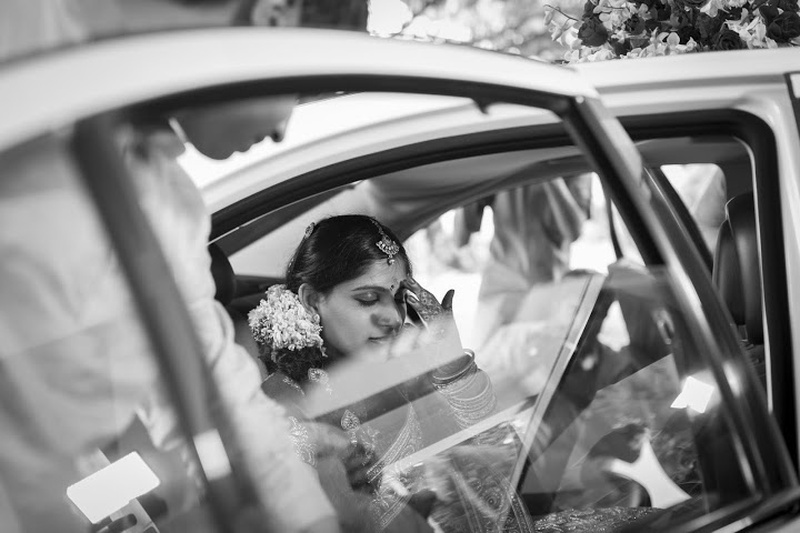 When it happens, your world gets turned upside-down, yet everything falls into place just perfectly in the end. 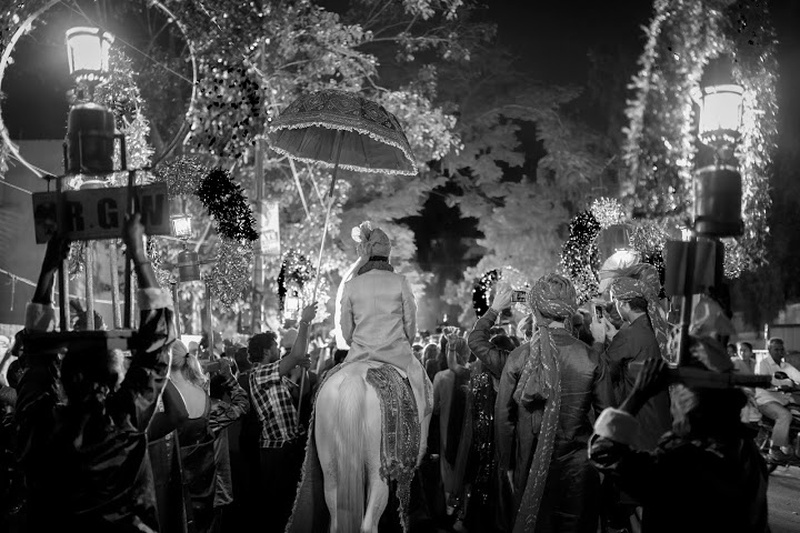 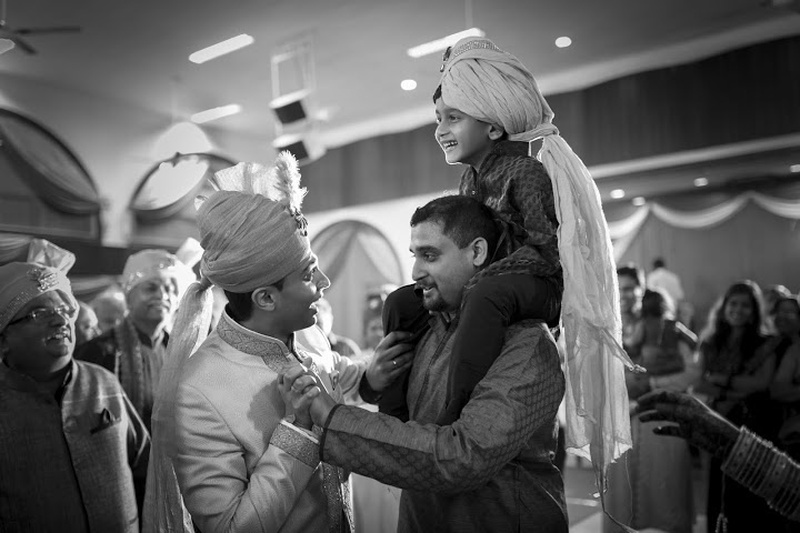 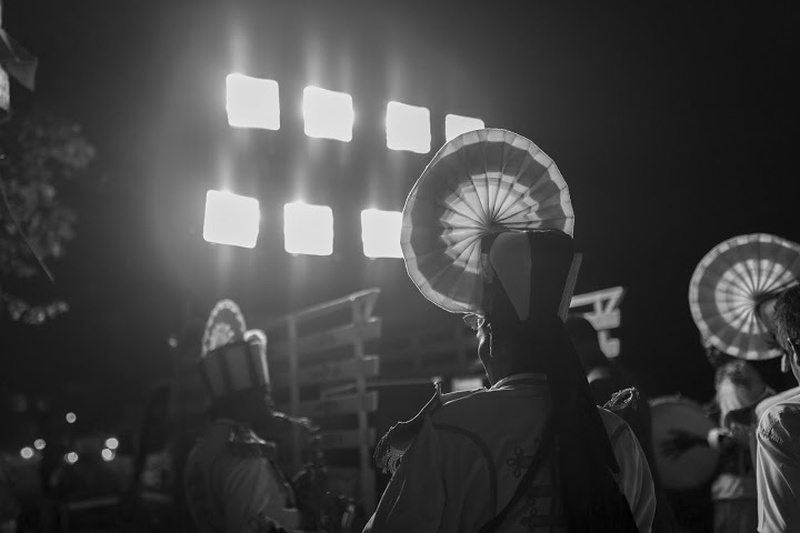 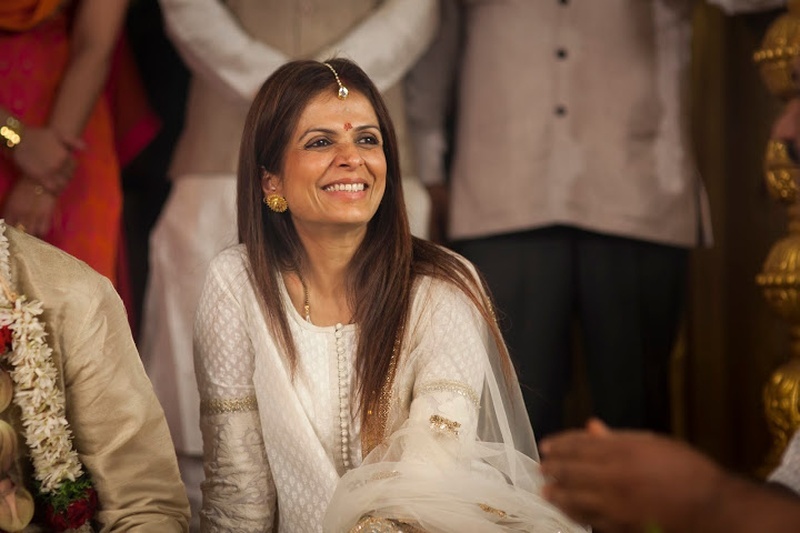 Let’s have a look at a few images captured so fantastically by Vivek Tickoo from The Wedding Knights!